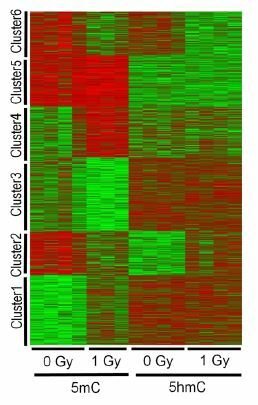 Unsupervised K-means clustering reveals distinct patterns of 5hmC and 5mC regulation. For astronauts on long missions in deep space, the brain’s response to radiation exposure is an important concern. Cognitive and other impairments put crews at risk during space travel and may pose significant health hazards to space flight crews for years after a mission. A unique feature of the space radiation environment is the presence of galactic cosmic rays and solar particle events, both of which involve protons. Exposure to these will likely impact multiple organ systems. In the central nervous system, radiation exposure significantly affects the hippocampus, which is critical for memory function. 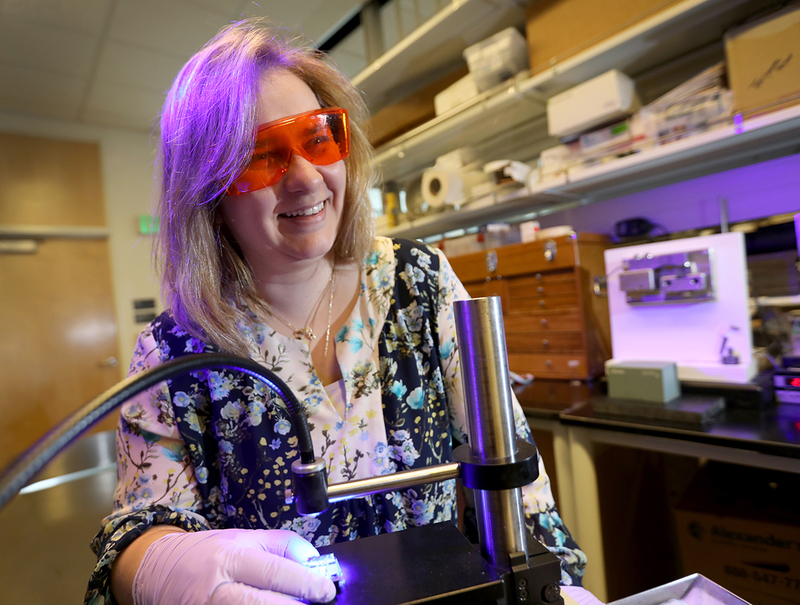 A team of OHSU scientists led by Jacob Raber, Ph.D., and including Soren Impey, Ph.D., and Mitchell Turker, Ph.D., has demonstrated that the brain’s response to proton irradiation is both specific and prolonged. Using a mouse model, the scientists found impairments in object recognition, spatial memory retention, and hippocampal network stability after proton irradiation. This research, published today in Scientific Reports, builds on previous research conducted by Raber, a professor of behavioral neuroscience, neurology and radiation medicine, and OHSU colleagues Impey, an associate professor of pediatrics and member of the Oregon Stem Cell Center, and Turker, a professor in the Oregon Institute of Occupational Health Sciences. In a paper published in 2016, they reported that long-term exposure to cosmic radiation may have the potential to alter the brain and change behavior in astronauts bound for Mars. That research project tested short- and long-term effects of radiation with Iron-56 ions on 6-month-old mice. In the new research, the cognitive changes observed after two weeks overlapped significantly with the impairments that continued at week 20—the alterations to the DNA did not disappear. In this research, mice were exposed to irradiation at the NASA Space Radiation Laboratory at Brookhaven National Laboratory in Upton, New York. The NSRL facility simulates the cosmic radiation astronauts would experience in deep space. Proton irradiation is also clinically relevant, as it is increasingly used in cancer therapy. Cognitive impairments due to radiation or chemotherapy, commonly called “chemo brain,” can be significant following treatments for cancer. Continued research on the ways in which cosmic rays affect the brain may help protect not only long-distance space travelers during and following missions, but cancer survivors as well. This work was supported by NASA grant NNJ12ZSA001N. Robert Searles, Ph.D., director of the Massively Parallel Sequencing Shared Resource provided expertise for the design and interpretation of the DNA methylation and RNAseq experiments in the study.